Here is one of many office suites built for the William Morris Agency through the design firm of Sheridan, Zimmerman and MacGillivray throughout the eighties and nineties. They kept my shop busy about 40-45 weeks a year and I was grateful for their on-going patronage. 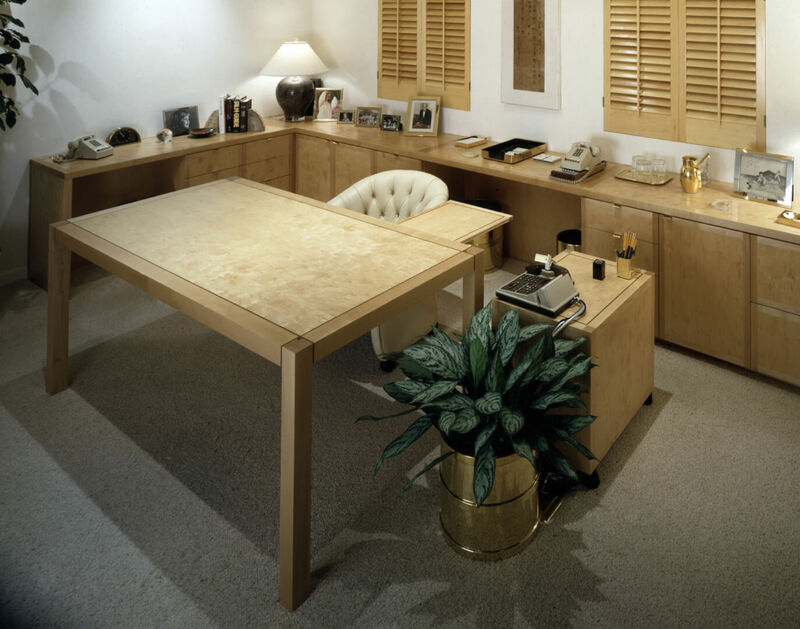 This suite called for maple veneered product and I was fortunate enough to find a flitch of eight or ten sheets of plywood with spalted maple veneer. The suite included the wrap-around credenza with file drawers and cabinet storage, a phone caddy cabinet and the main writing desk. 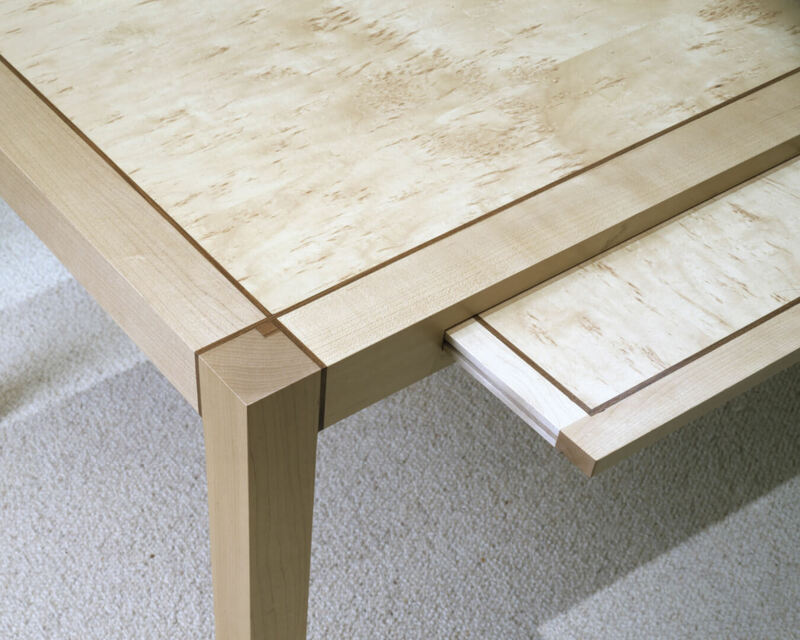 The desk and pull-out writing surface featured walnut inlay to contrast with the natural maple finish.